All startups need HR. You need a person or team to administer the human resources function of the business. You need someone to take care of payroll and benefits, and help you lay the groundwork that will allow your company to grow and be successful. However, many startups fail to realize just how important it is to get the HR function right from the start. It can be a catalyst for future success. While there is no specific timeframe for when your startup should hire an HR professional, it’s important to get them involved as early as possible. You need someone on the team who is dedicated to help develop the company work structure, organizational culture and help you build a strong team. 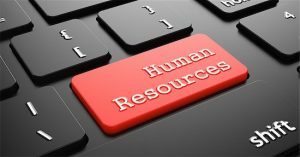 Many companies hire an administrative assistant or inexperienced HR person to help with human resources tasks. This is often a mistake for startups. You need an experienced HR professional who has dealt with the issues you are facing now and will face as your company grows. You need someone to handle the tough issues and you need someone who has good judgment that is backed by experience.